Lift - 500 Pound Capacity - SHIPS FREE! 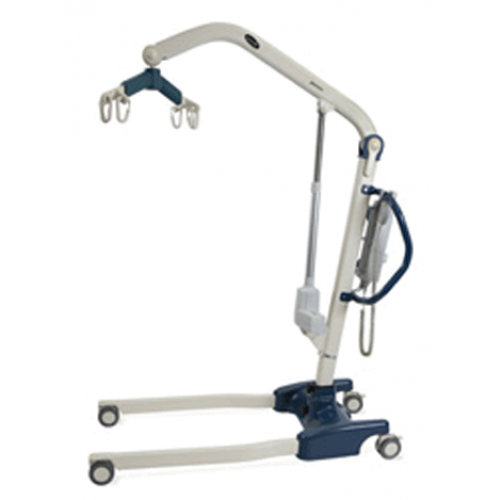 Jasmine Premier Full Body Lift from Invacare helps prevent caregiver back injury and to ensure dignity in resident handling. 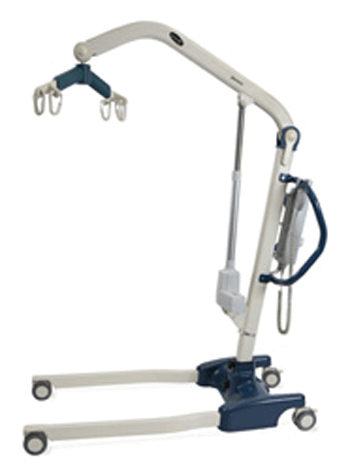 This high quality lift is comfortable, reliable and an integral tool for staff and caregivers. Using the lift for resident handling reduces staff injuries, saving you money and reinforcing safety as a priority in your healthcare facility. Jasmine lifts support up to 500 pounds, making potentially challenging transfers smooth for resident and caregiver. The high lift range allows easy access to beds, chairs, toilets, floors, and tubs (with at least 4.8" clearance). Along with economical and innovative lifts, Invacare also offers facility assessment plans to further aid in your safety management program. Our all encompassing lift system may also include in-service training, videos, and an injury prevention program. Our goal is to partner with you in lowering costs and protecting your staff from injury. The design of the Jasmine lifts provides the solution you need for success in your quest to provide safe and effective health care. Lifting range of 16.4" - 74.6"